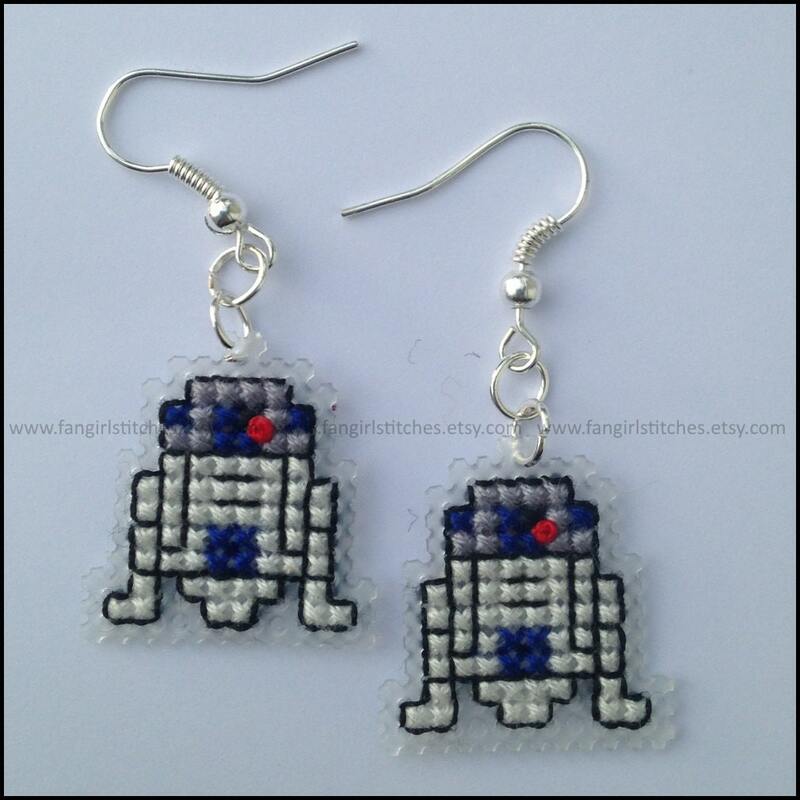 Show your love for one of the greatest sci-fi series out there with your own droid key-rings and earrings! Buy the three kits together and save money! 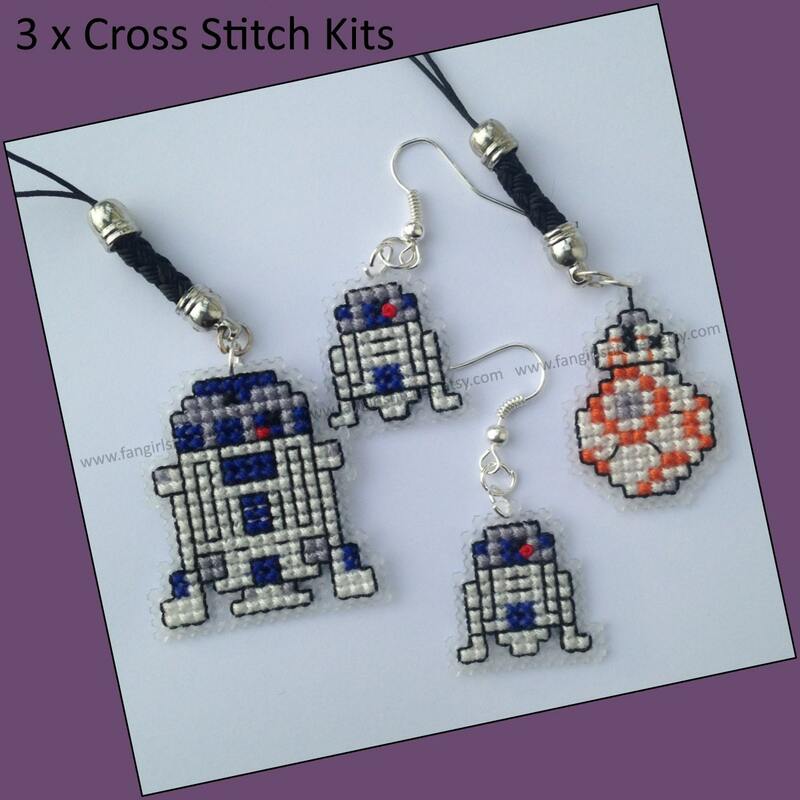 Included are the BB-8 key-ring kit, R2-D2 key-ring kit, and R2-D2 earring kit. 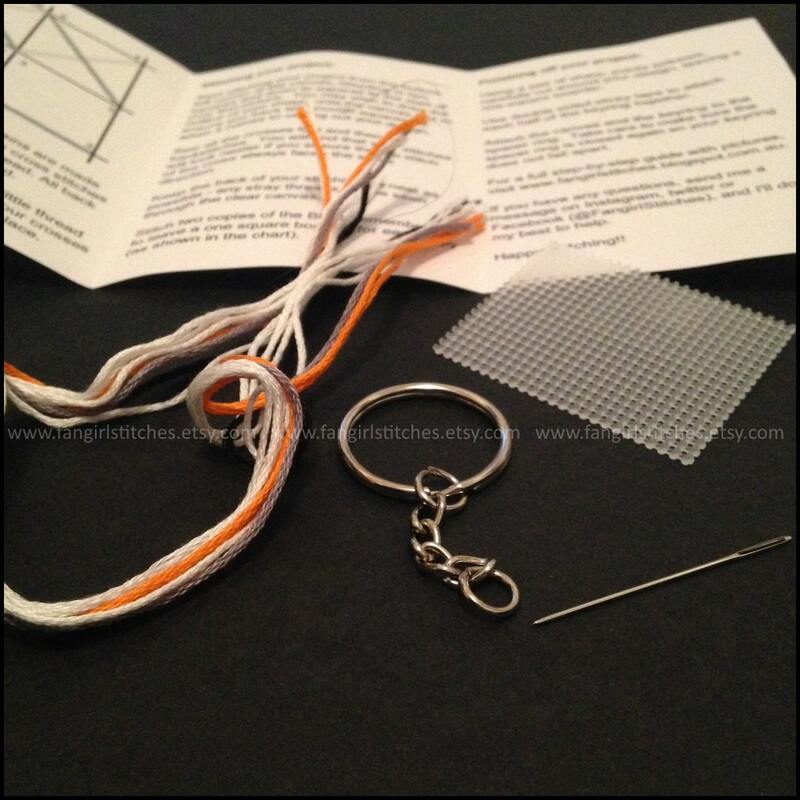 These kit contains everything you need to make your items, including pattern, thread, needle, jewellery findings, and a detailed step-by-step guide. 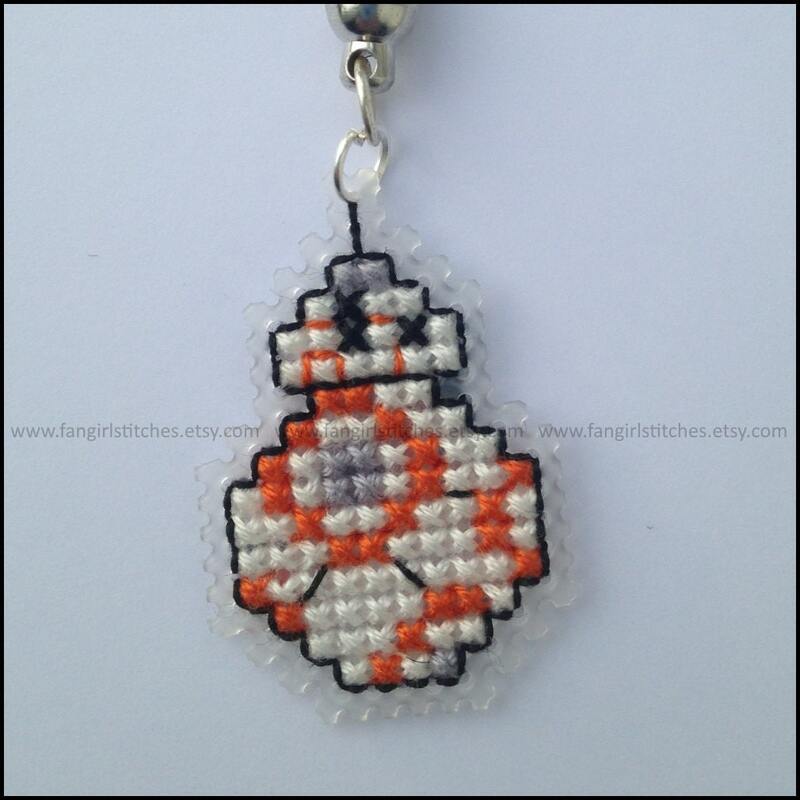 The projects include whole stitches and backstitch only, and is suitable for beginner stitches - what better way to learn how to stitch? 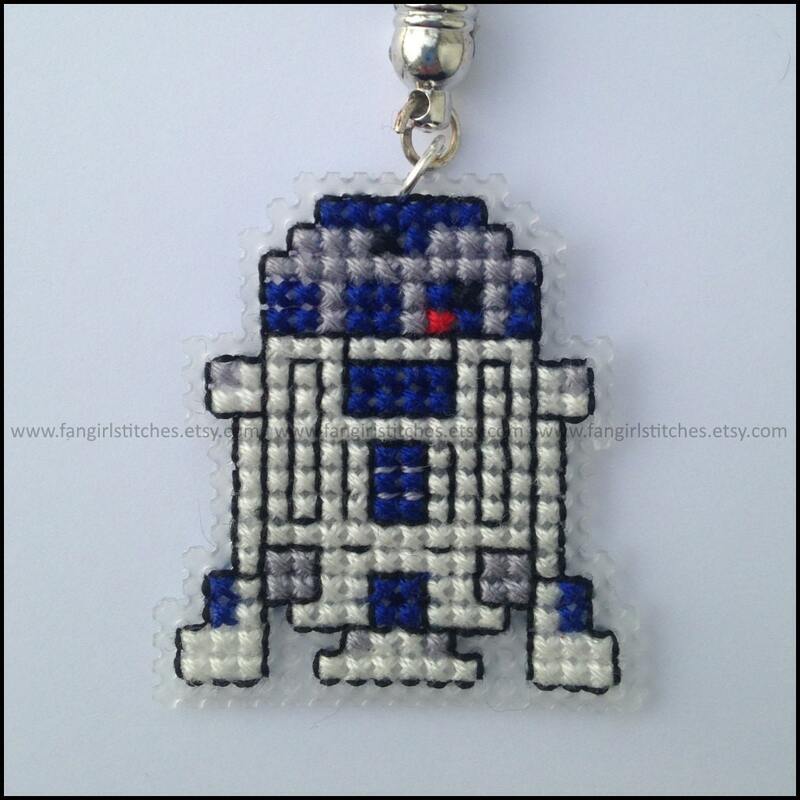 Stitched on plastic canvas, the finished items measure approximately 1 to 2 inches. Always a pleasure dealing with Ros, so friendly and helpful, nothing is ever an issue, super fast postage, absolutely brilliant!